Chickasaw.tv is a high-definition, video-rich network focused on emphasizing the culture, legacy and continuing contributions of the Chickasaw people. The Chickasaw Nation is a sovereign, effective nation living within the borders of Oklahoma. As such, they have a deep economic and spiritual interest in the state’s lands and resources. With a growing library of videos, Chickasaw.tv's vital information is accessible to Chickasaws here in Oklahoma and around the world. Chickasaw.tv is not only for Chickasaws; it’s for everyone who would like to become better acquainted with the long, storied history of the dynamic and venerable Chickasaw Nation. This deep well of information, news and exemplary footage is constantly updated – offering fascinating stories on a variety of topics. With a government focused on the enduring growth and enrichment of its people, the Chickasaw Nation will continue to be a major contributor to the economy and culture of the state of Oklahoma and beyond. Use Chickasaw.tv to find information – in a vibrant, engaging format – that will awaken within you a deep and abiding appreciation of a people dedicated to preserving their land, their language, their unique identity. 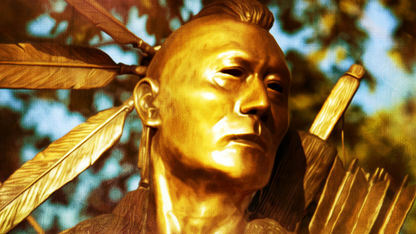 Chickasaw.tv utilizes a proprietary technology owned and operated by Videodigm. Videodigm is an online delivery system that creates and provides real-time news and rich interactive video content focused on a specific area of interest.